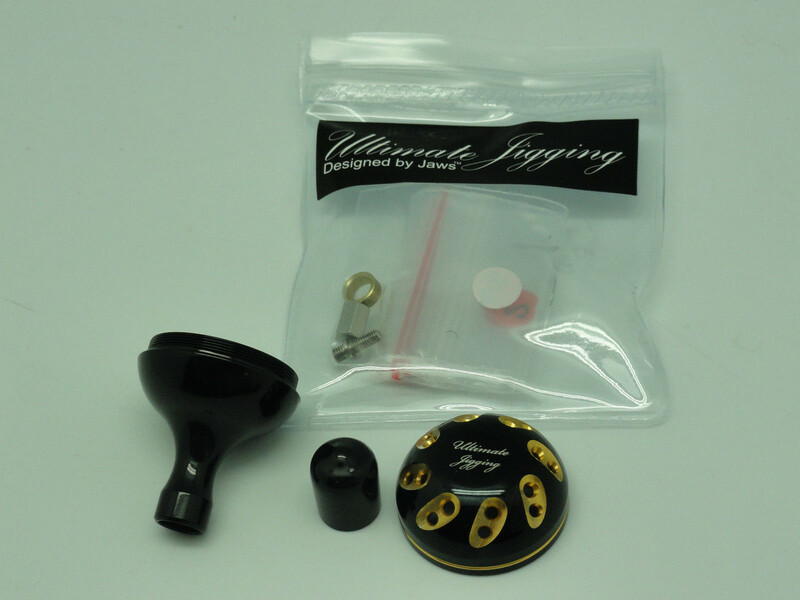 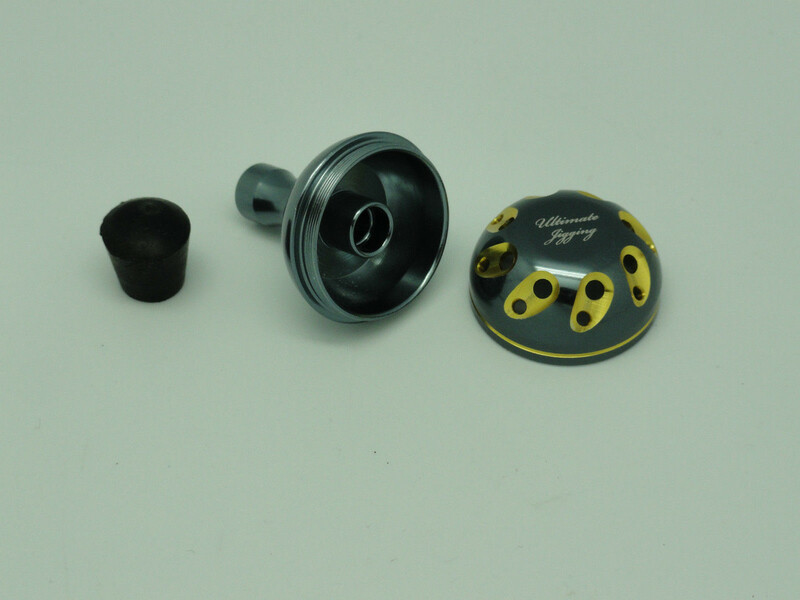 Ultimate Jigging 30mm Reel Knob is precisely made, no play (only 0.01mm), once you install it right. 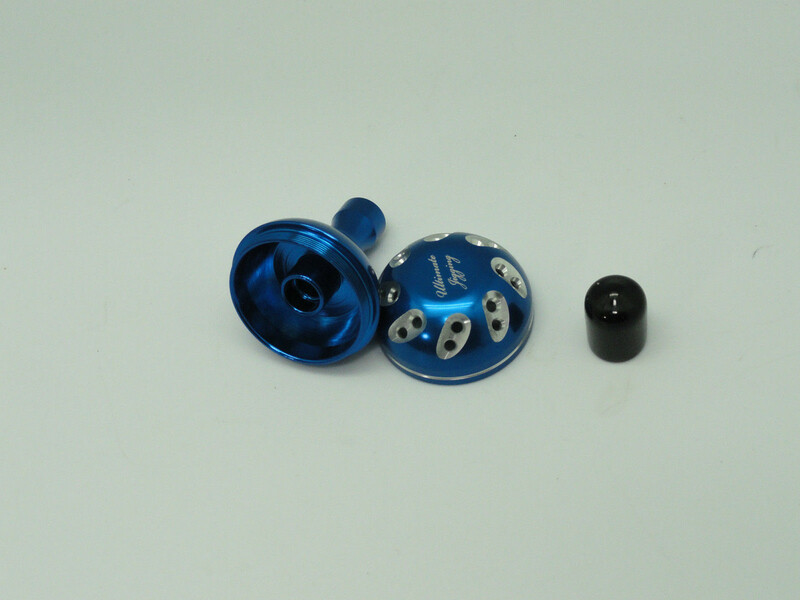 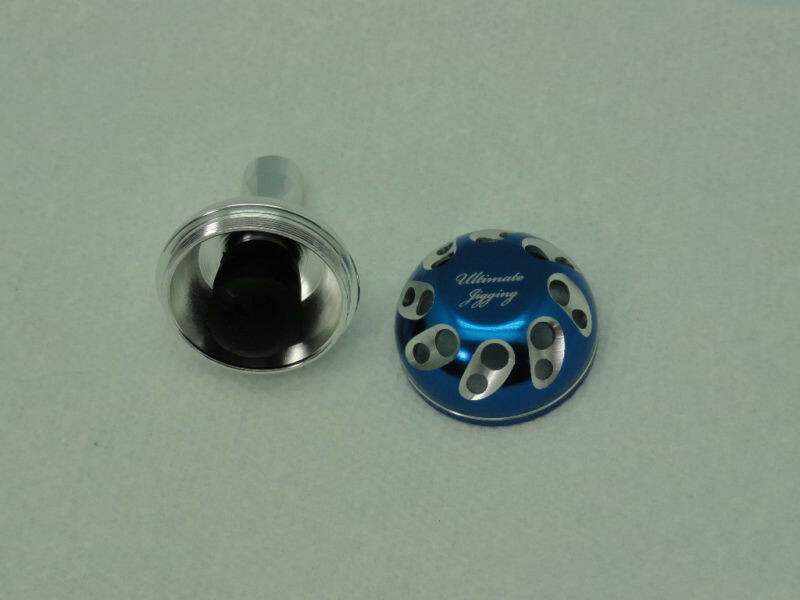 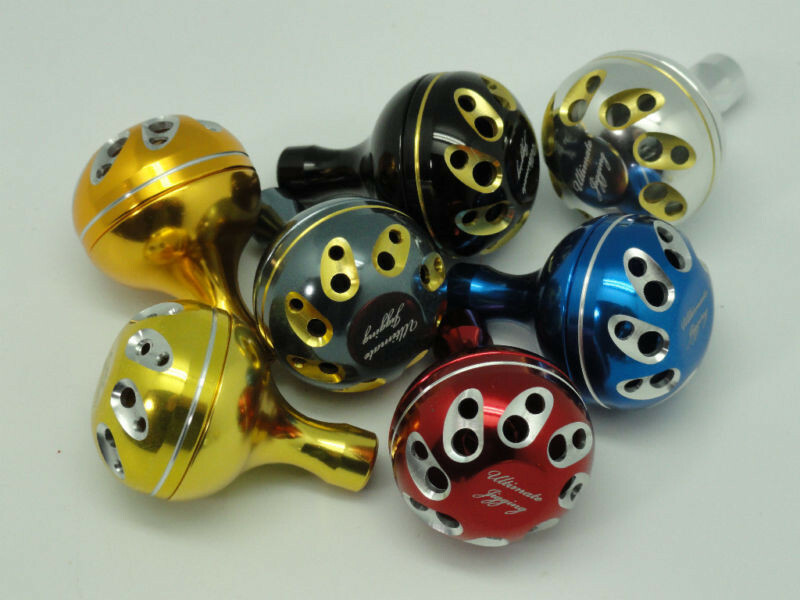 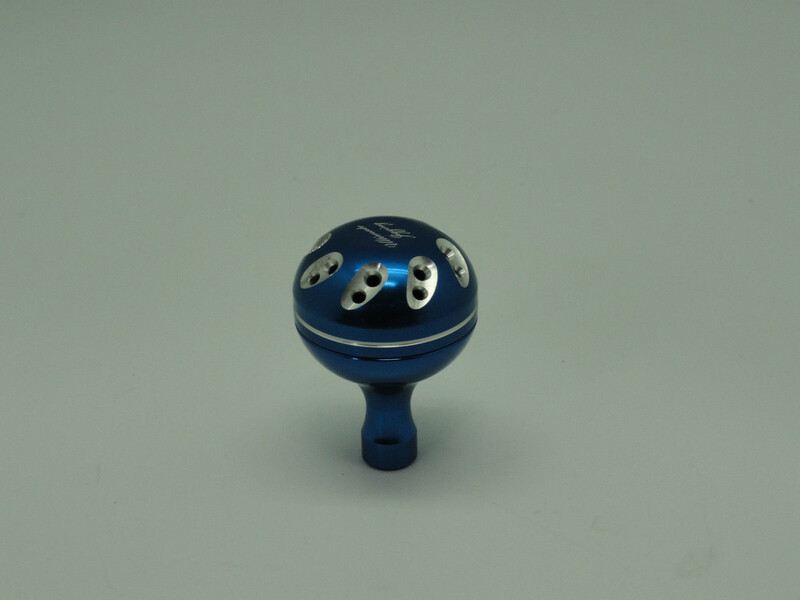 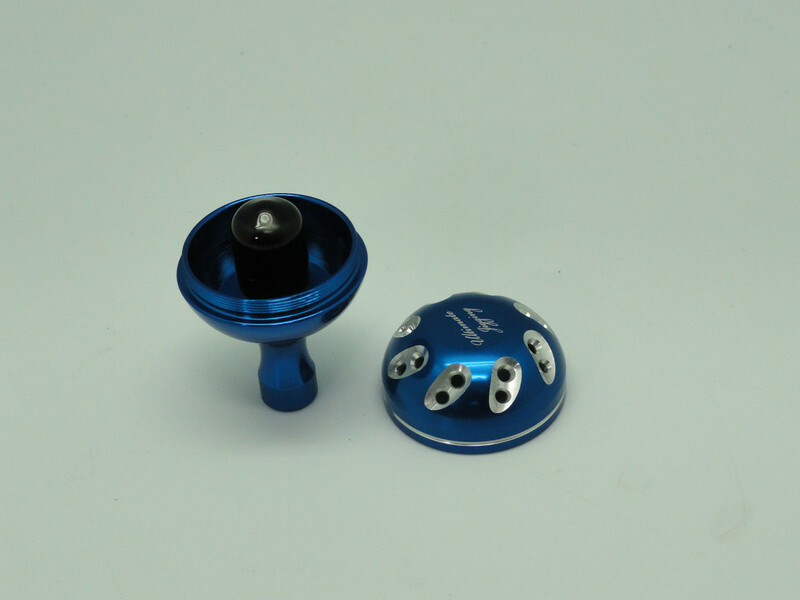 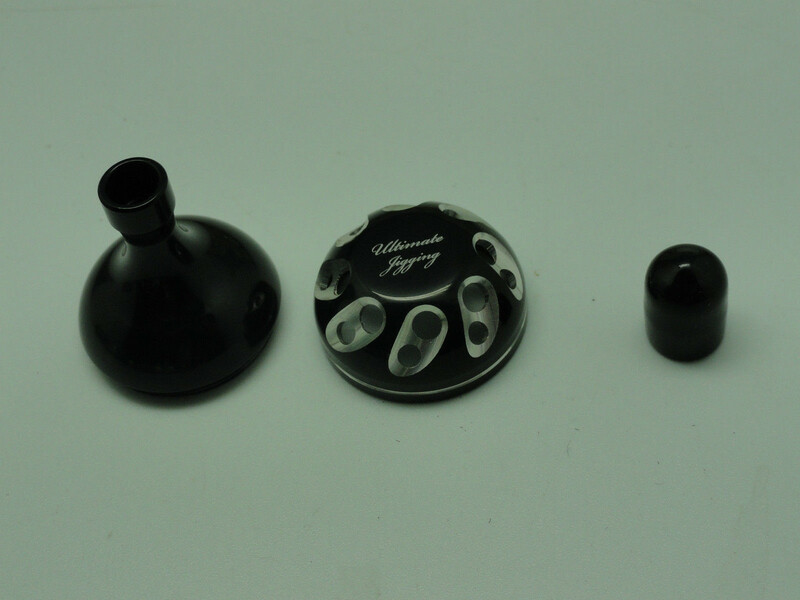 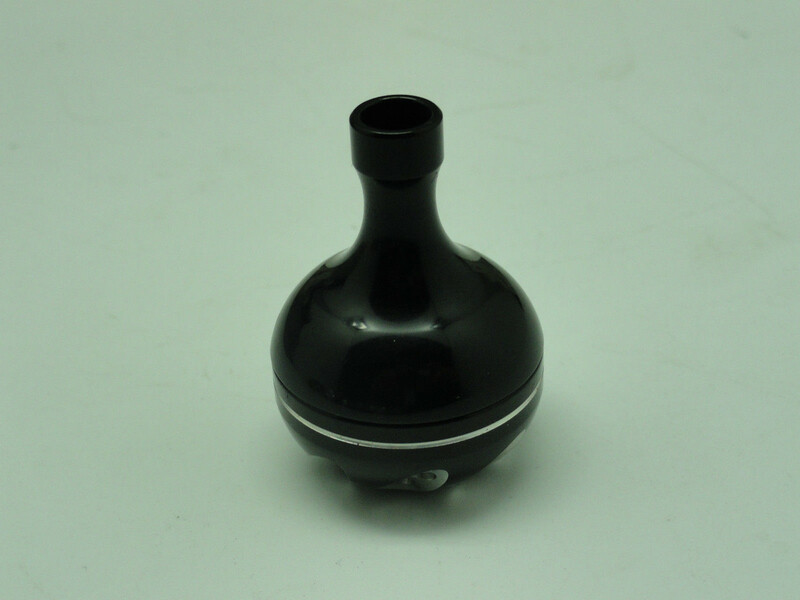 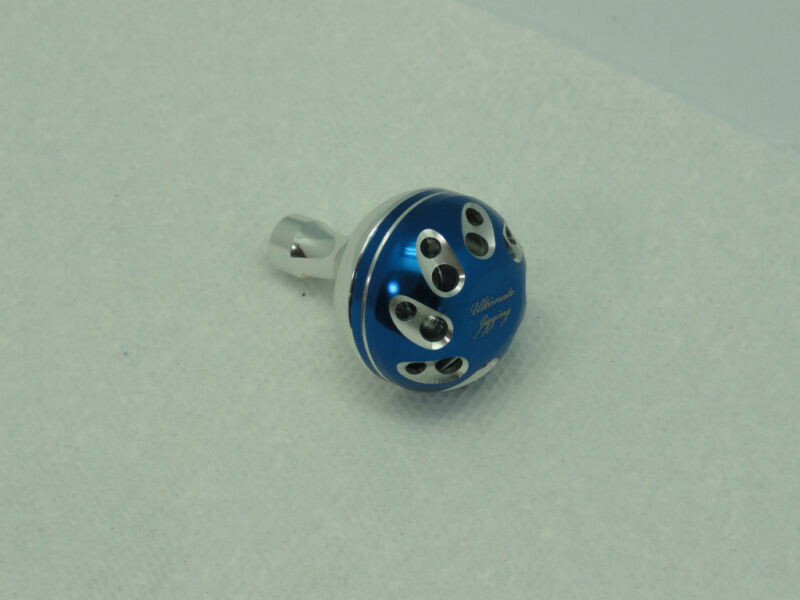 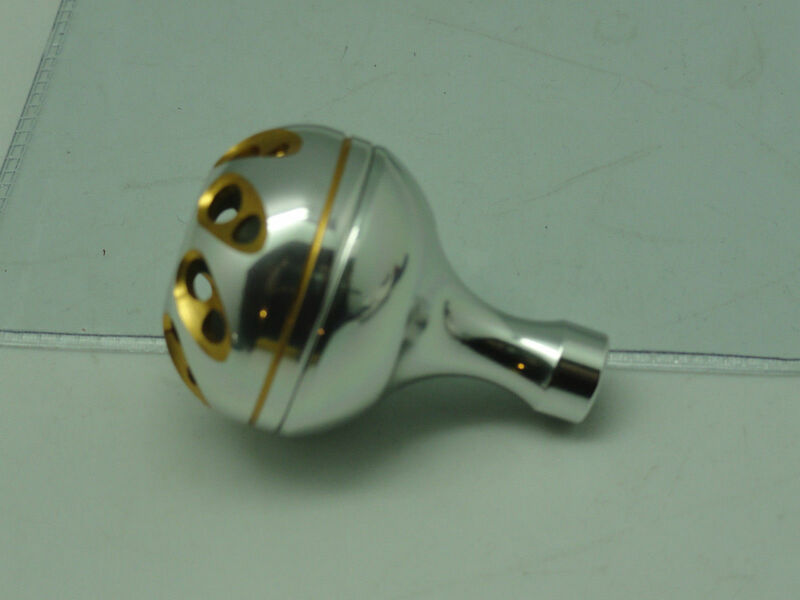 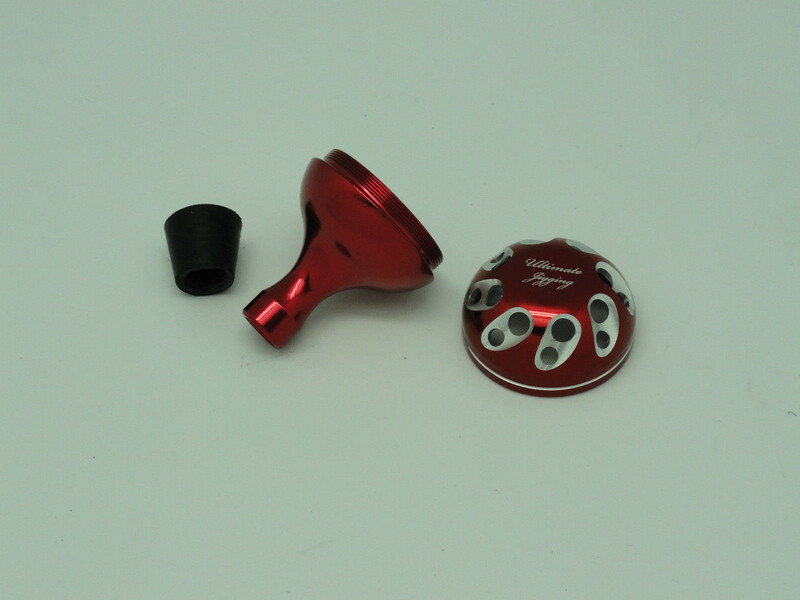 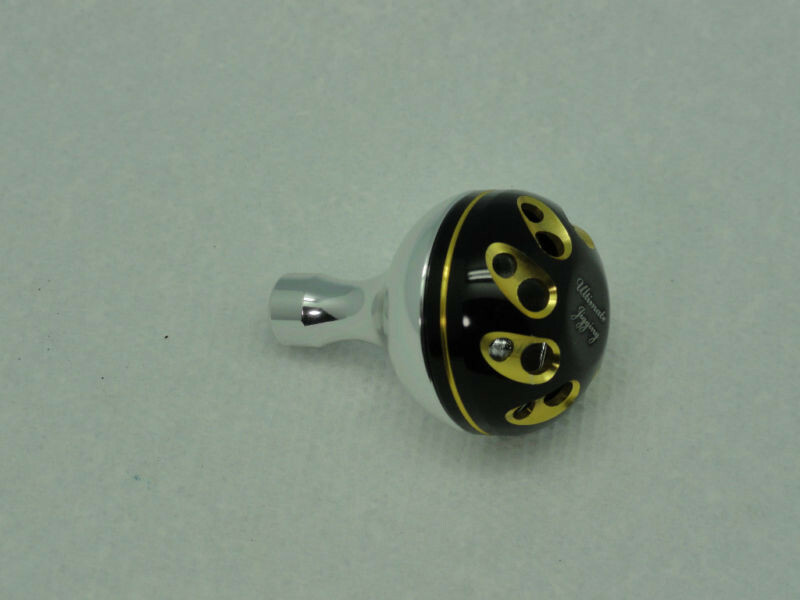 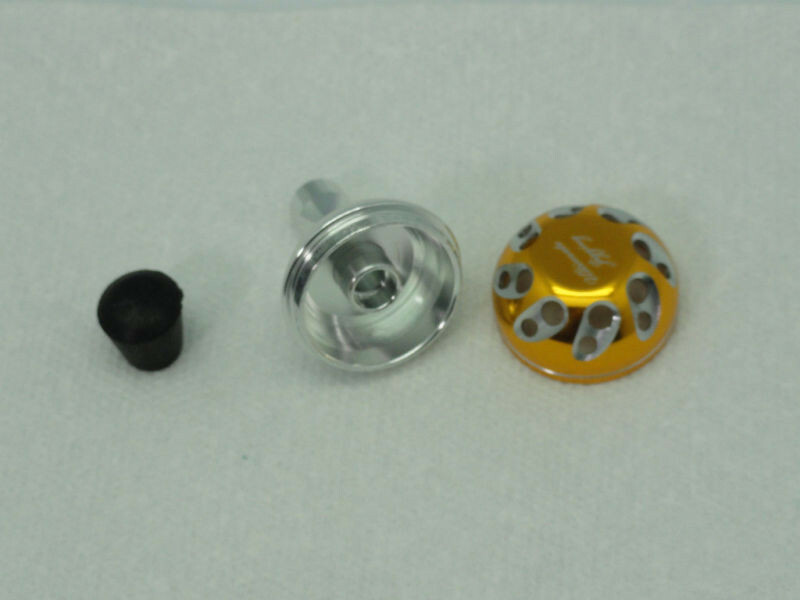 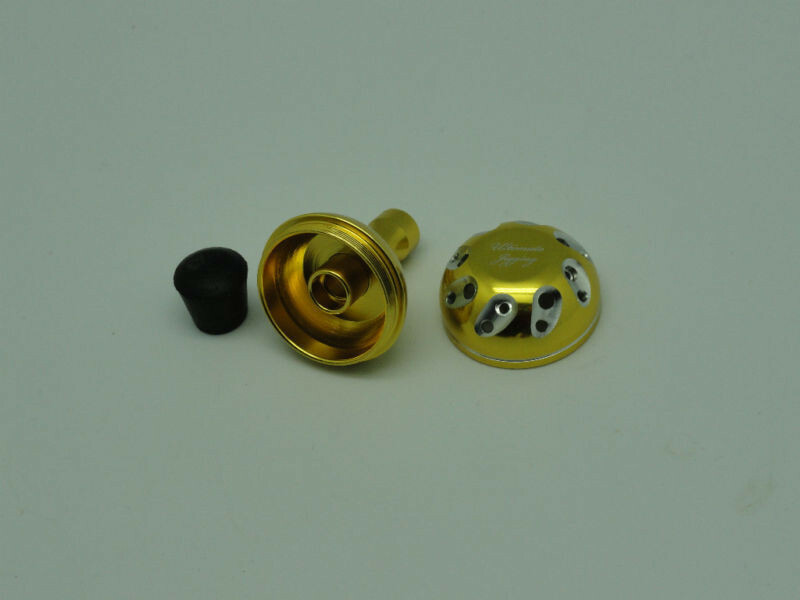 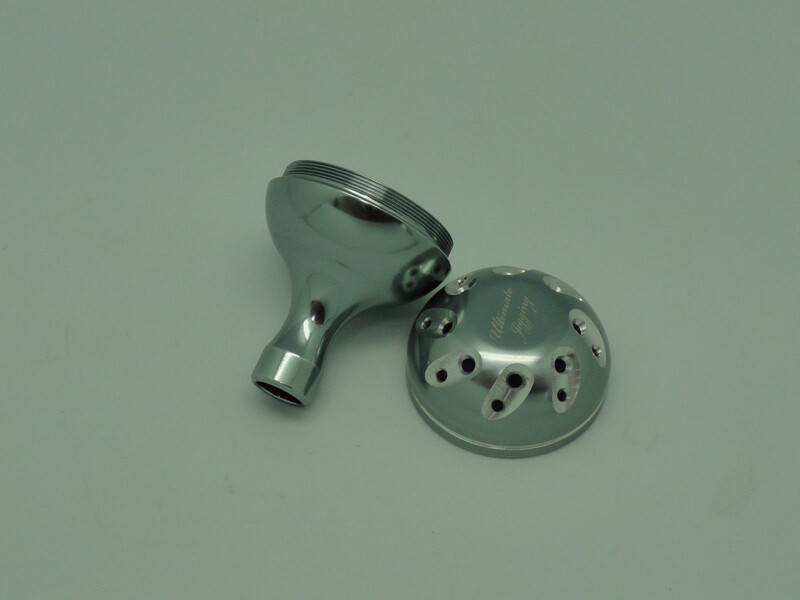 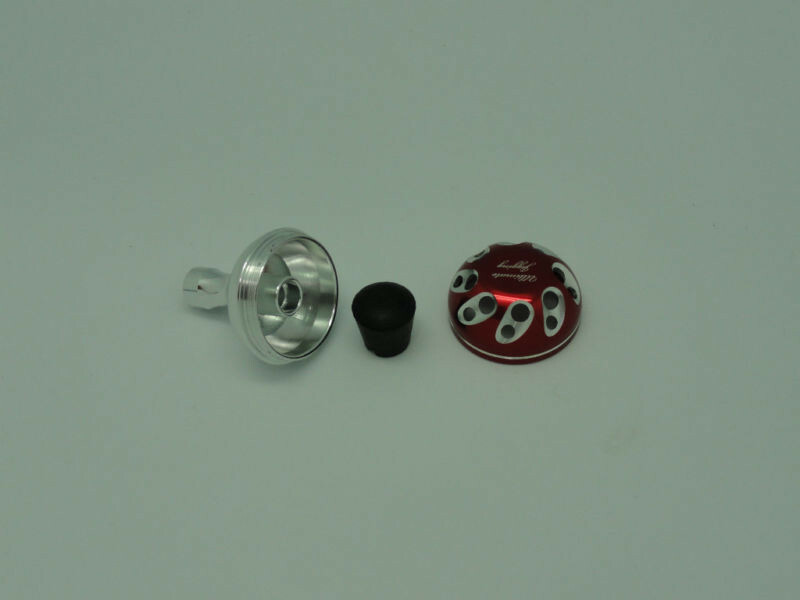 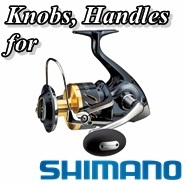 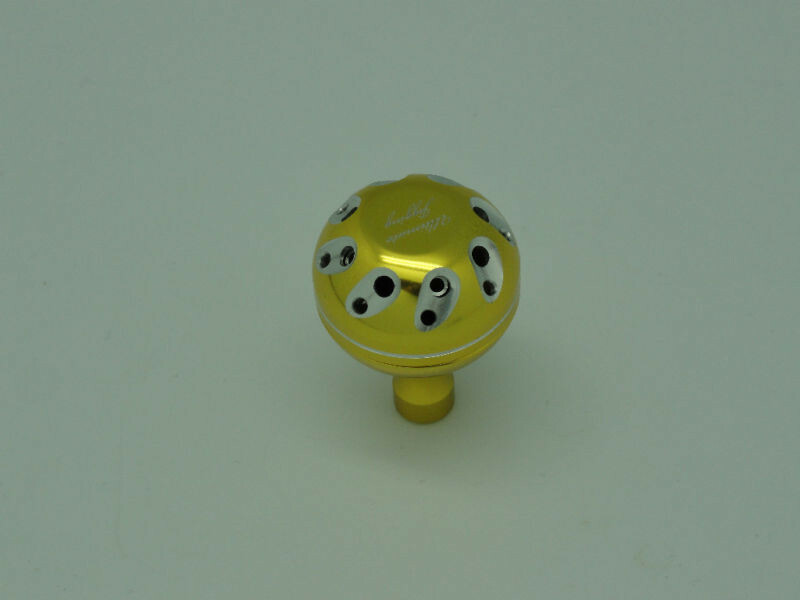 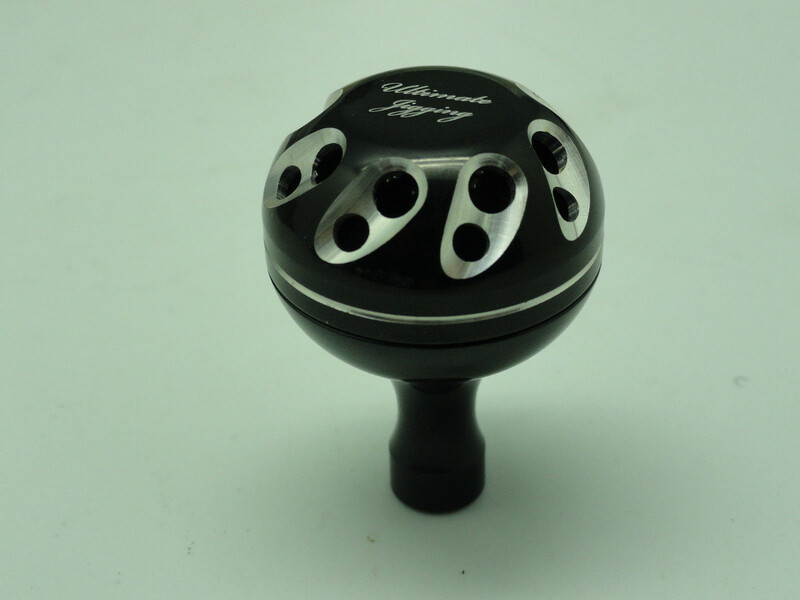 This Knob can be directly installed to the original shaft of Shimano or Daiwa reels. 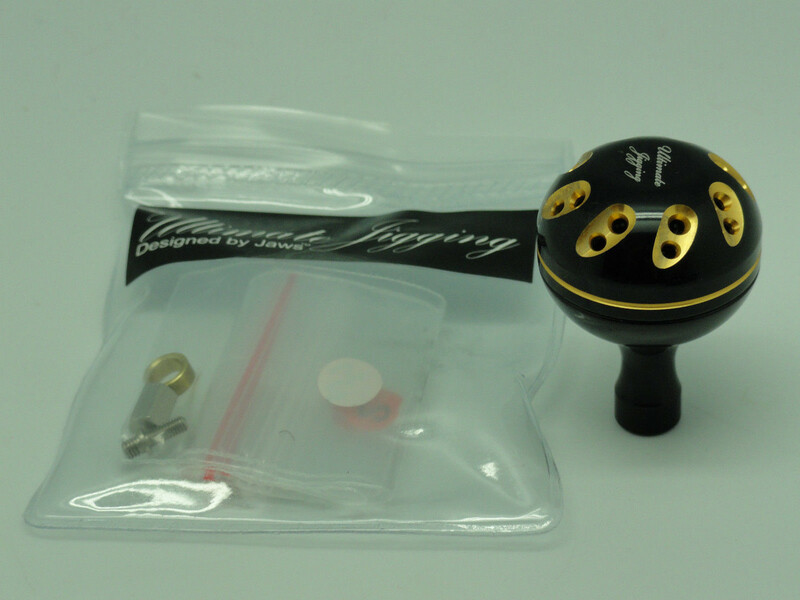 It is excellent for Rocky Shore Float Fishing, Bass Fishing, EGI Fishing, Surf Casting and Boat Jigging. 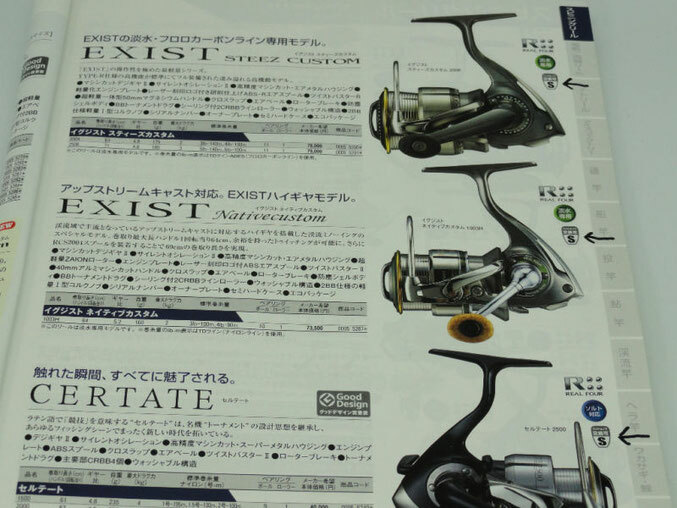 Daiwa - Any reel markes "S" on Japan Daiwa catalog, as Saltiga 3500, Catalina 3500, New version '2015 Blast 3500~4000, Phantom Light 3500, Dsmarts 2003~2500, Ryoga 1000~2000... and many more bait casting reels. 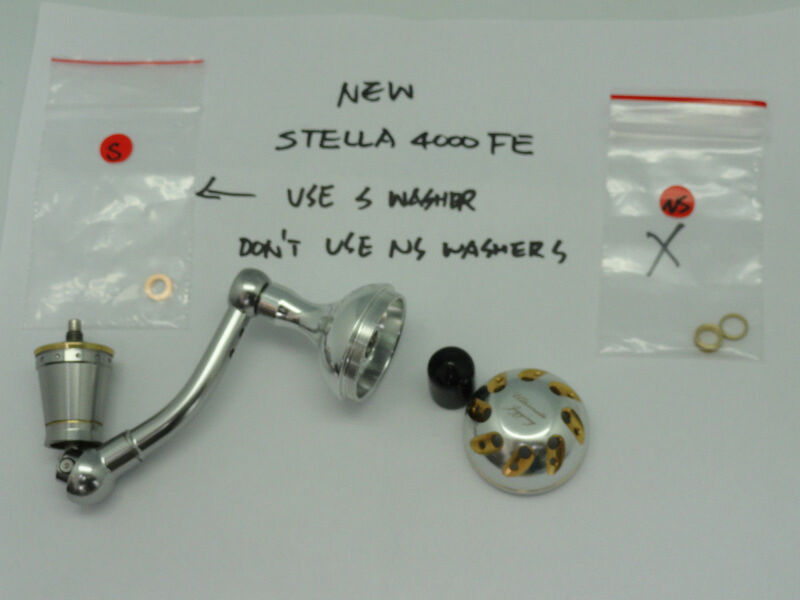 Please use the suitable Kits (S, NS and D kits are all including in this Package) and the Bearings removed from the original knob, then following the diagram instruction, to install the 30mm Reel Knob. 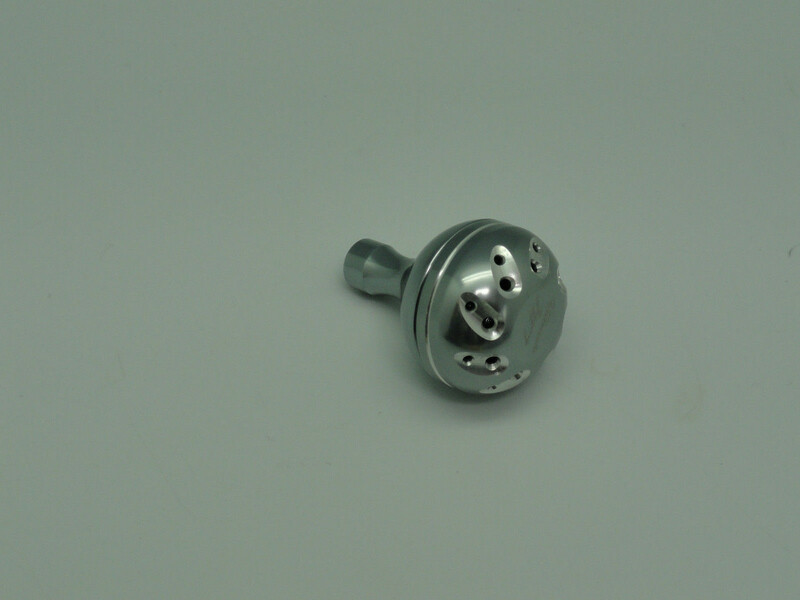 Once you install it, you must make sure every part is align and clean. 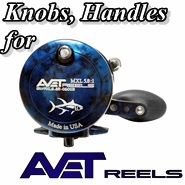 Please see "30mm Reel Knob Upgrade Steps" for detail installation. 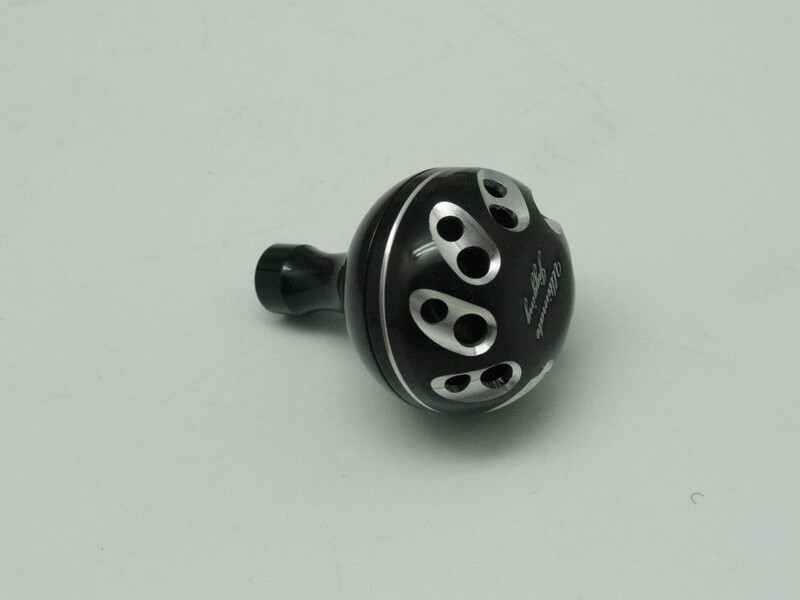 If you have any installation question, please email us at support@pbmfishing.com to consult. 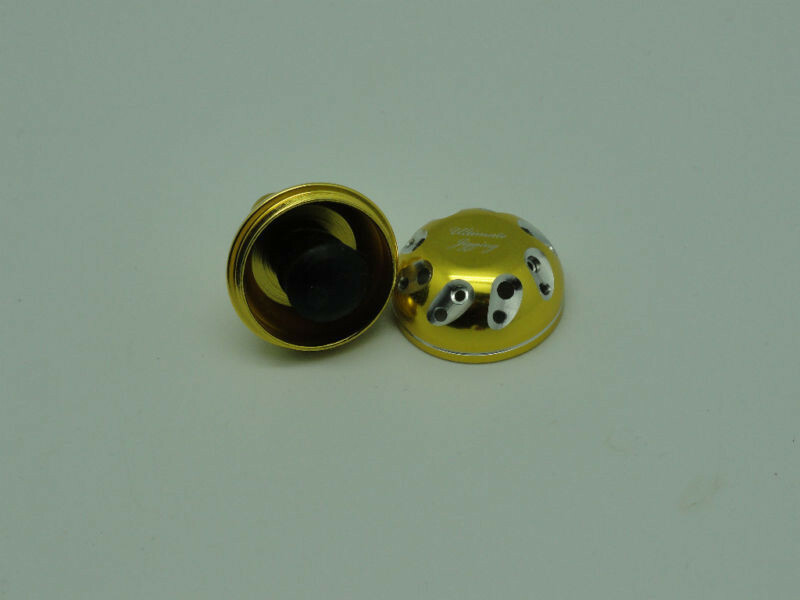 To install the 30mm Reel Knob, you need two 7x4x2.5 Bearings. 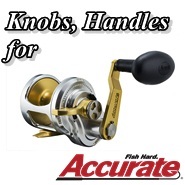 Normally, you will find them when you disassemble your original knob from your reel; however, some reels are coming with only one bearing and one sleeve; you still can use those to install the knob. 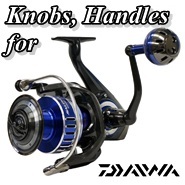 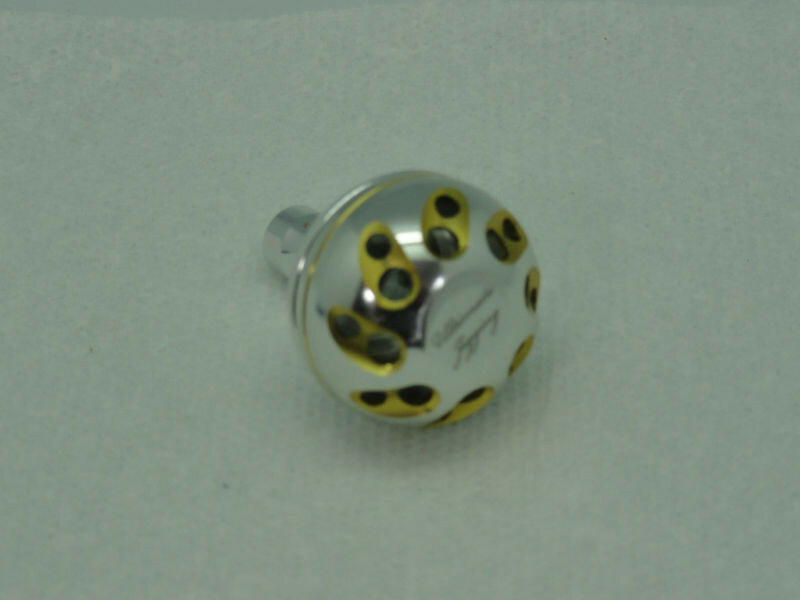 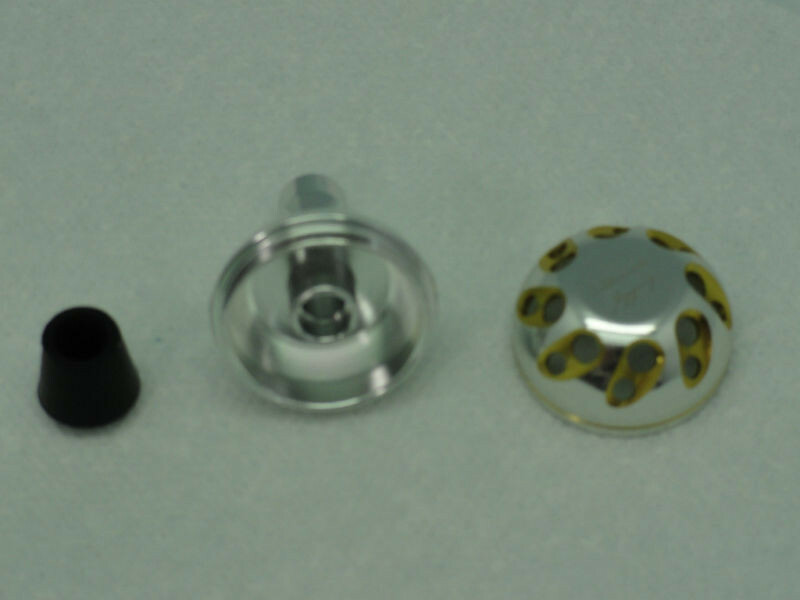 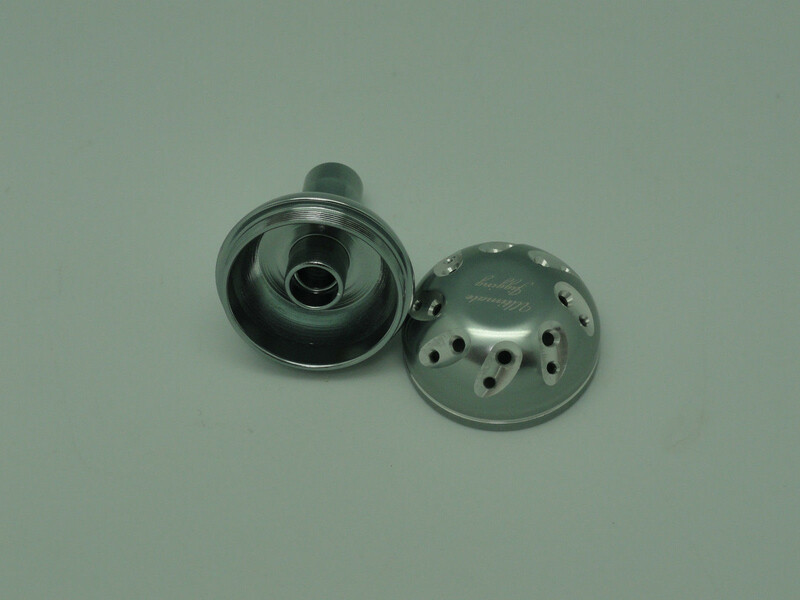 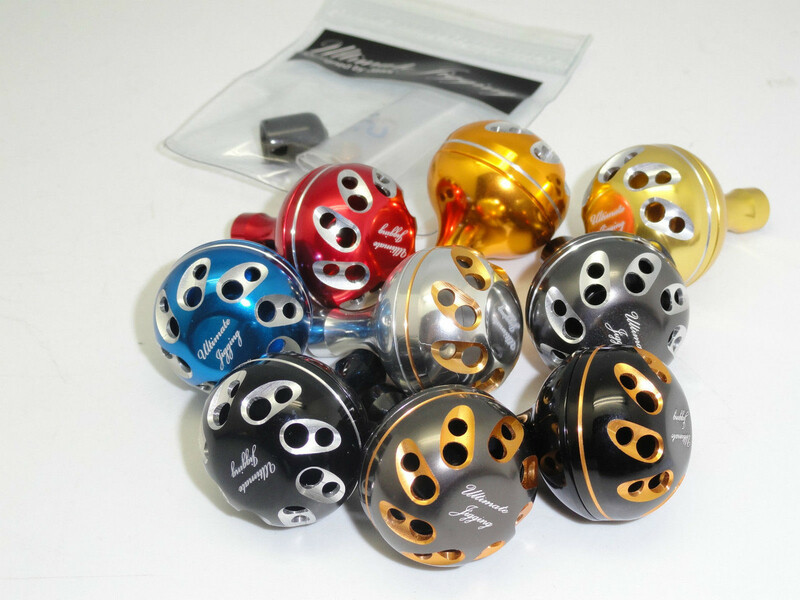 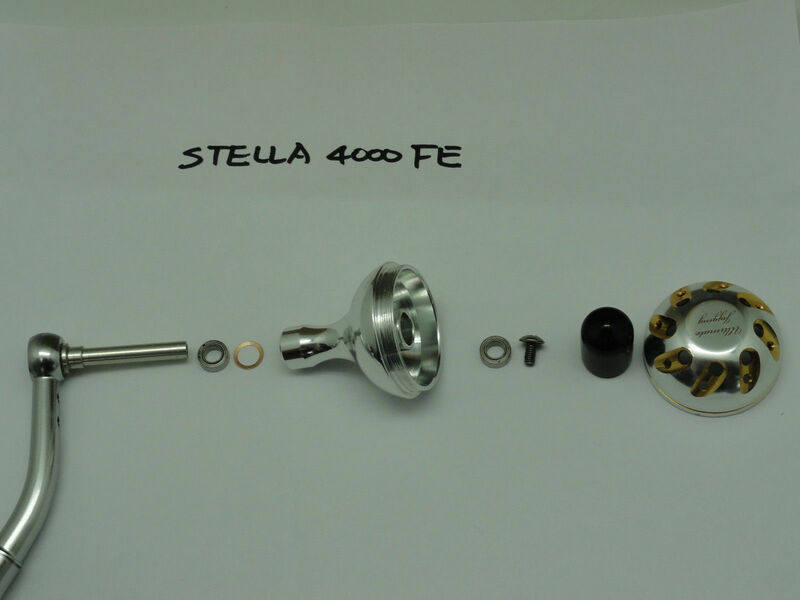 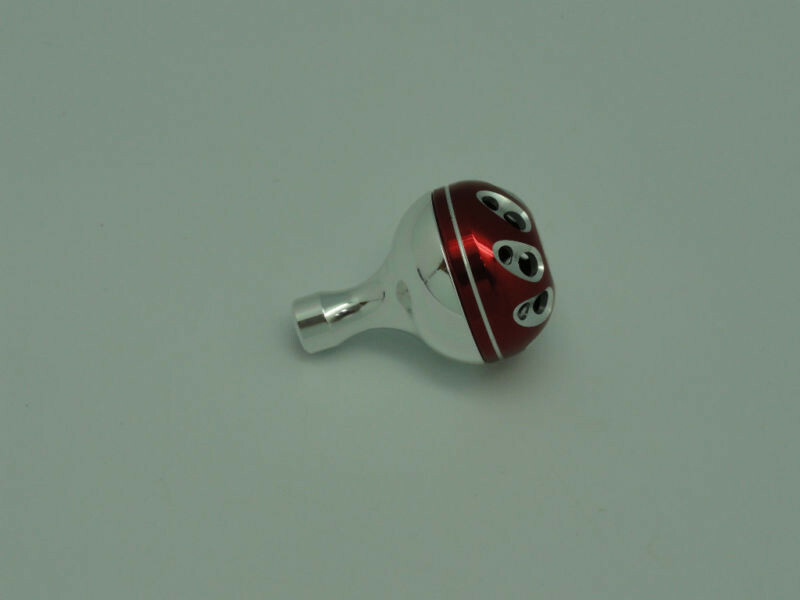 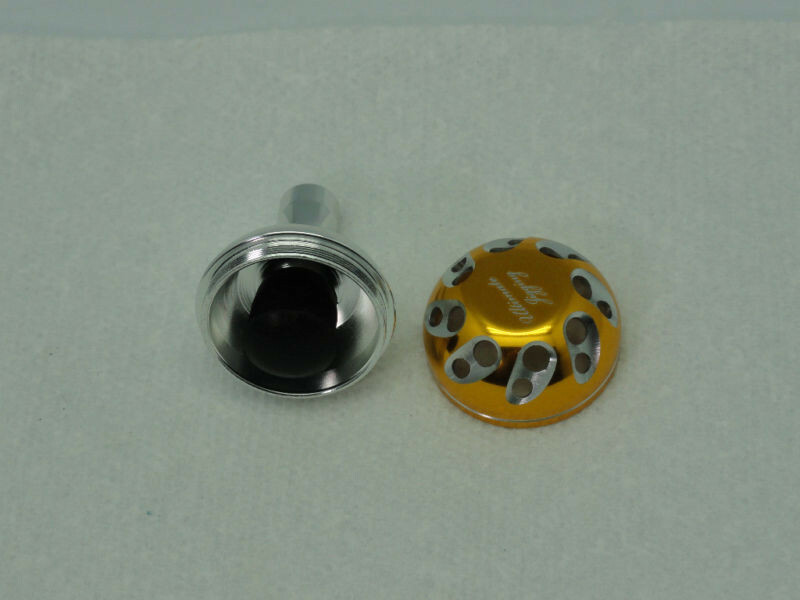 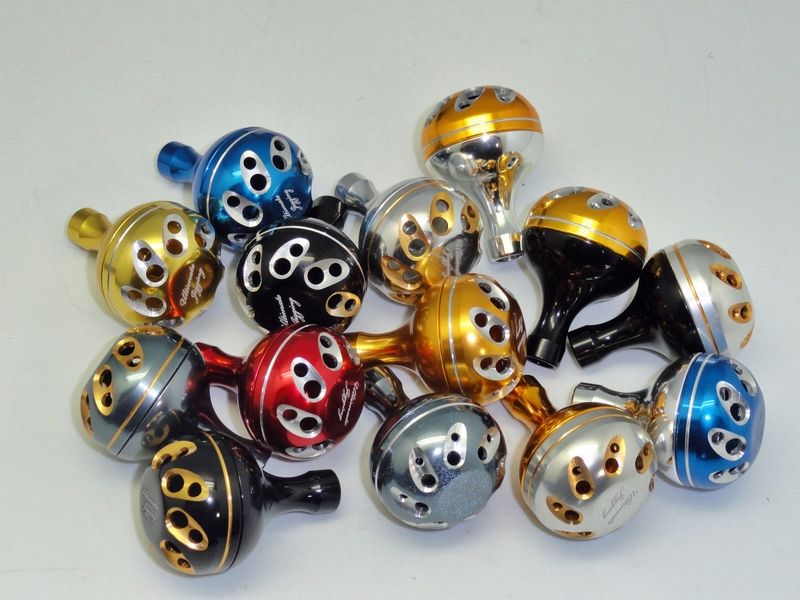 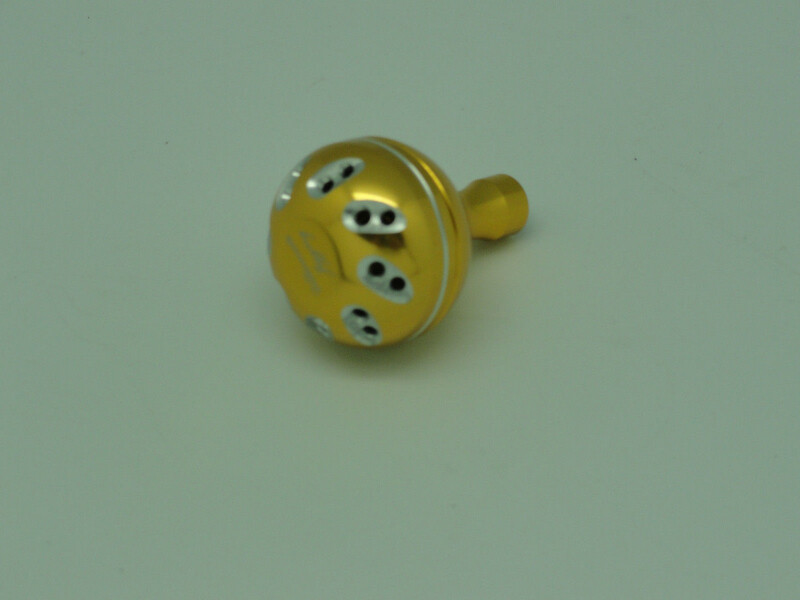 This 30mm knob is designed for Daiwa or Shimano small 1000~4000 reels; however, there are many versions & generations of new reels and it changes stock knob shaft design every year; if you are not sure what knob will fit on your reel, please disassemble your original knob and get the measurement from your reel handle knob. 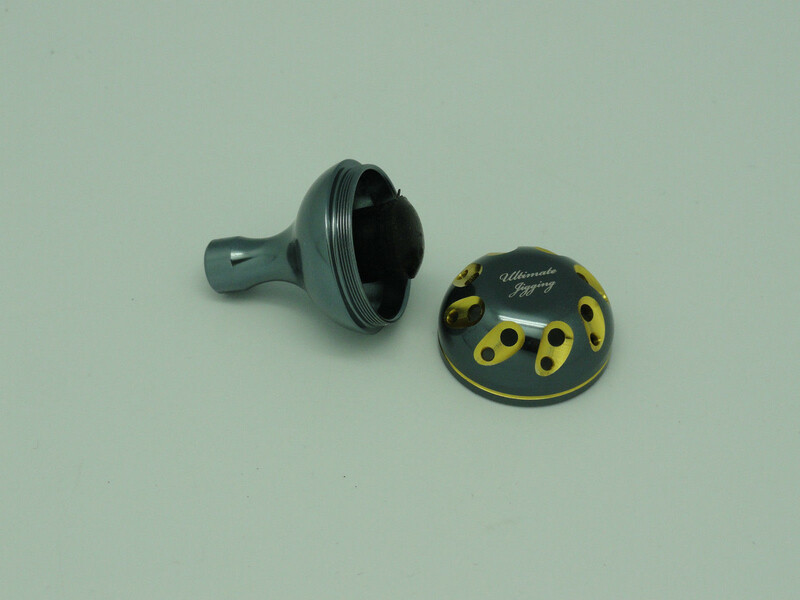 Normally, there are two bearings (some are plastic sleeves) inside of the knob. 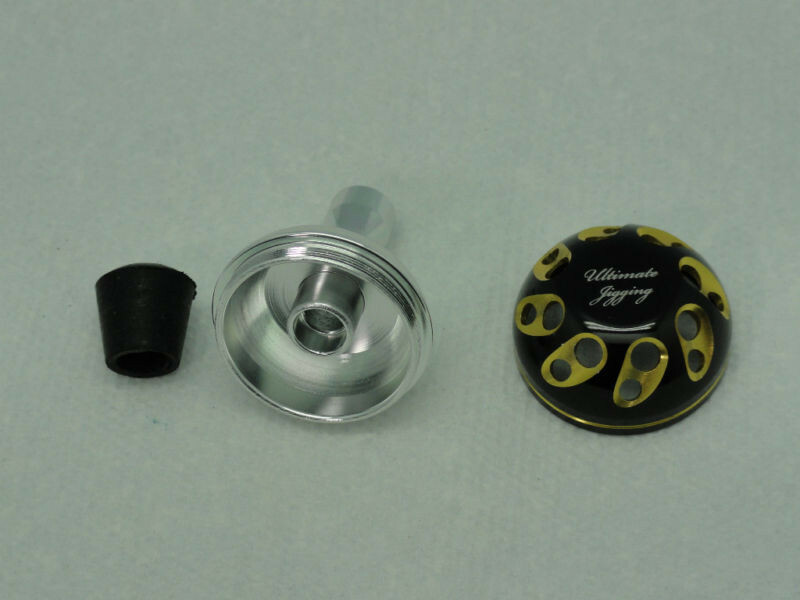 If these two bearing/sleeve O.D. 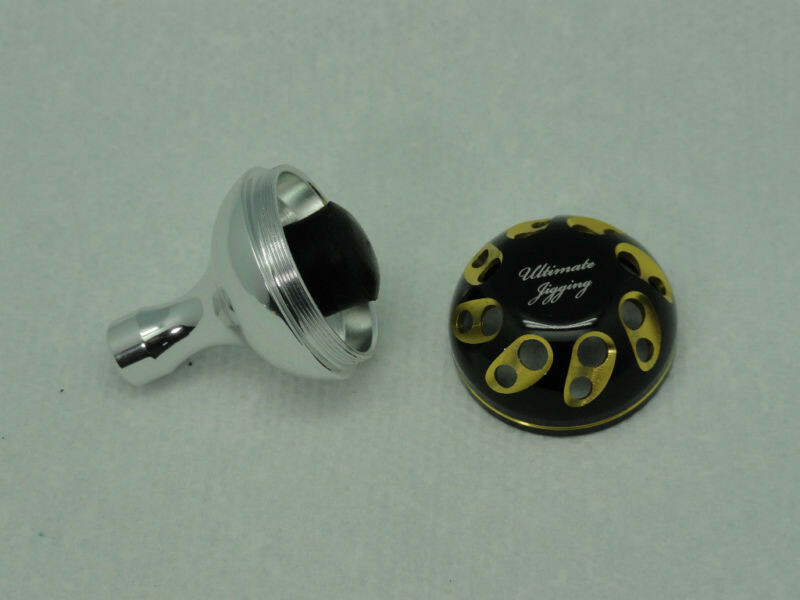 are 7mm and 7mm, then UJ 30mm knob is suitable; if your bearing/sleeve size O.D. 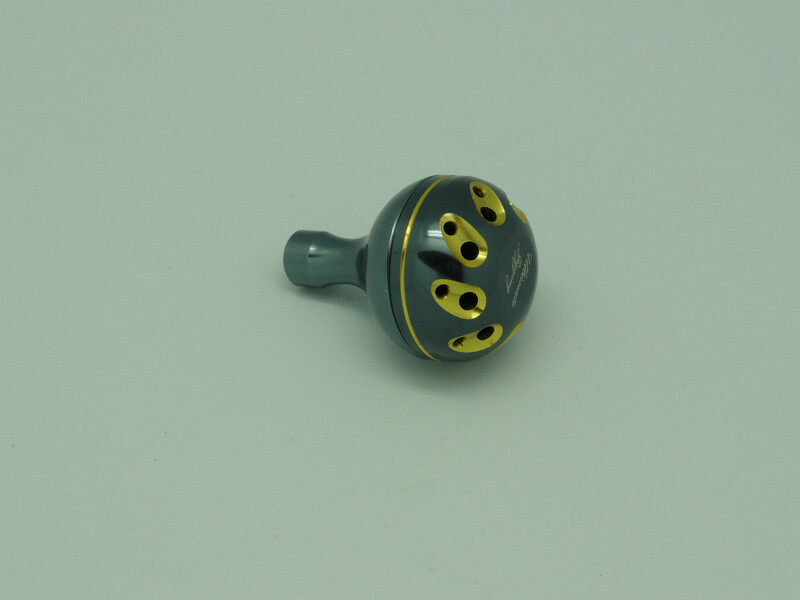 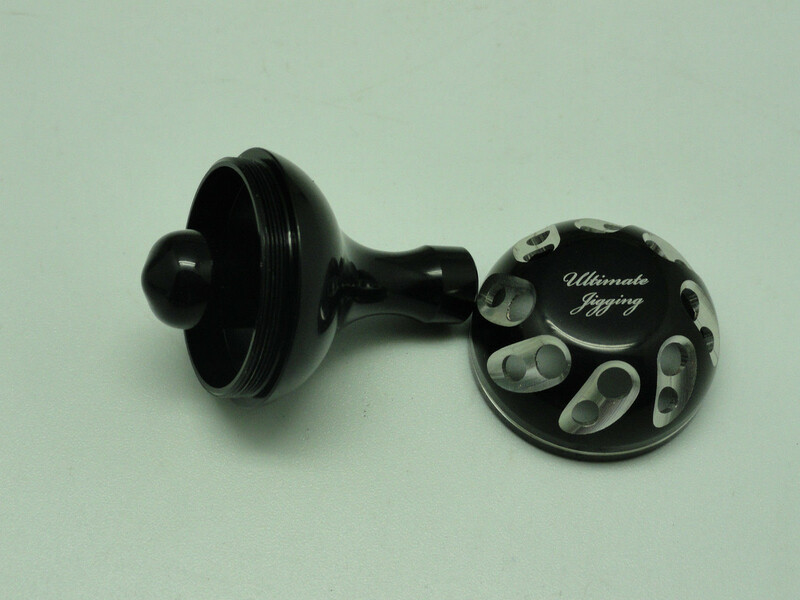 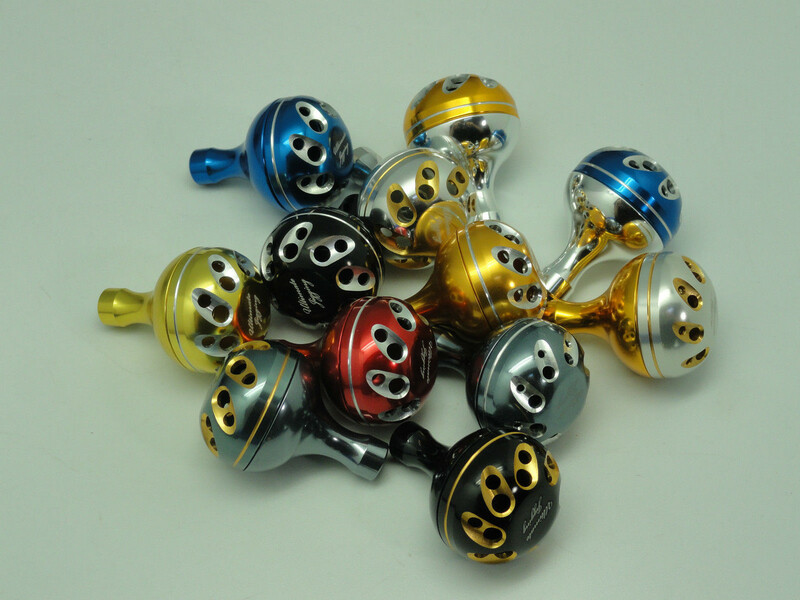 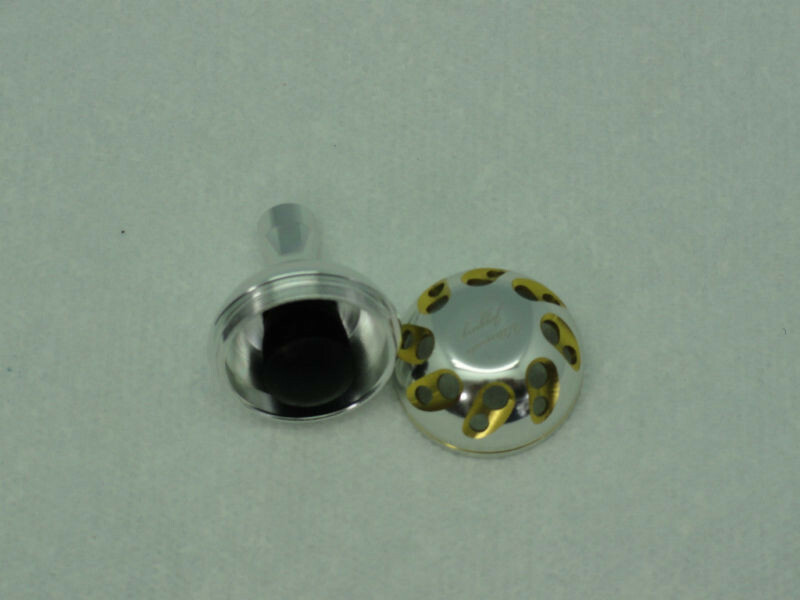 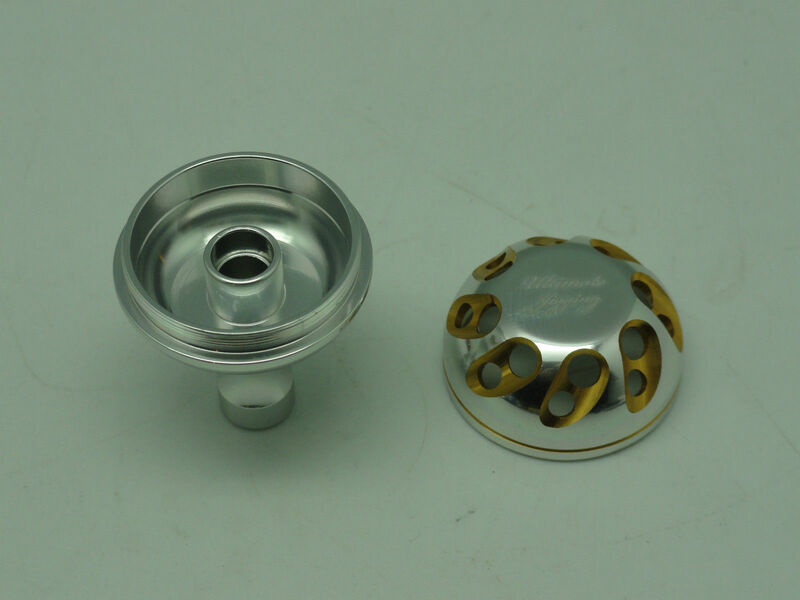 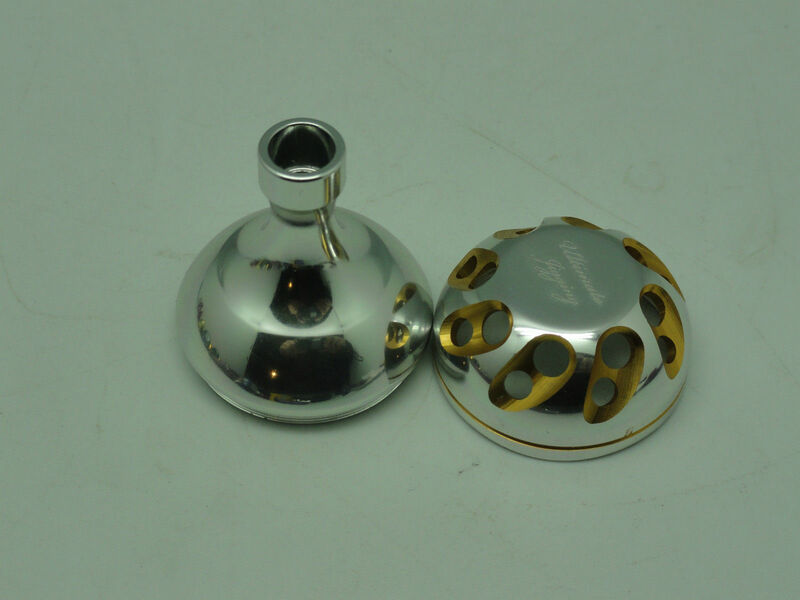 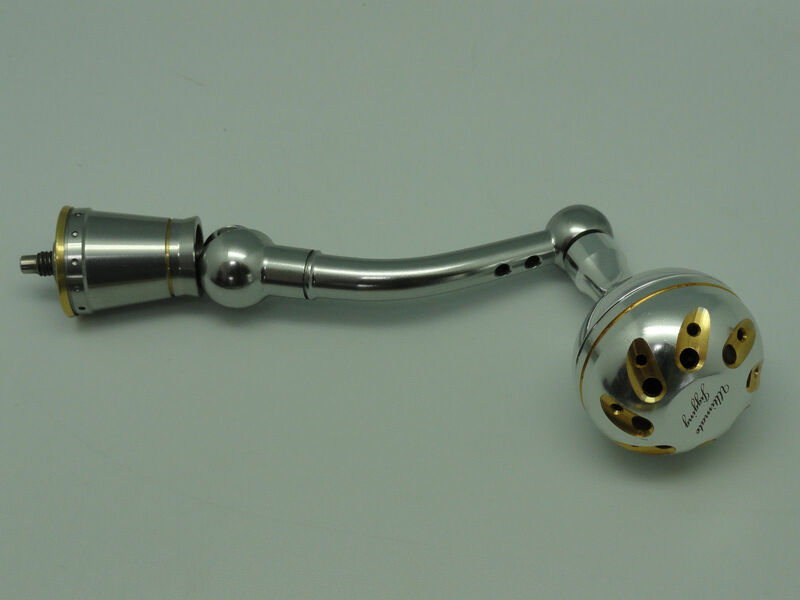 are 8mm and 7mm, then UJ 40mm knob with S cup will be suitable. 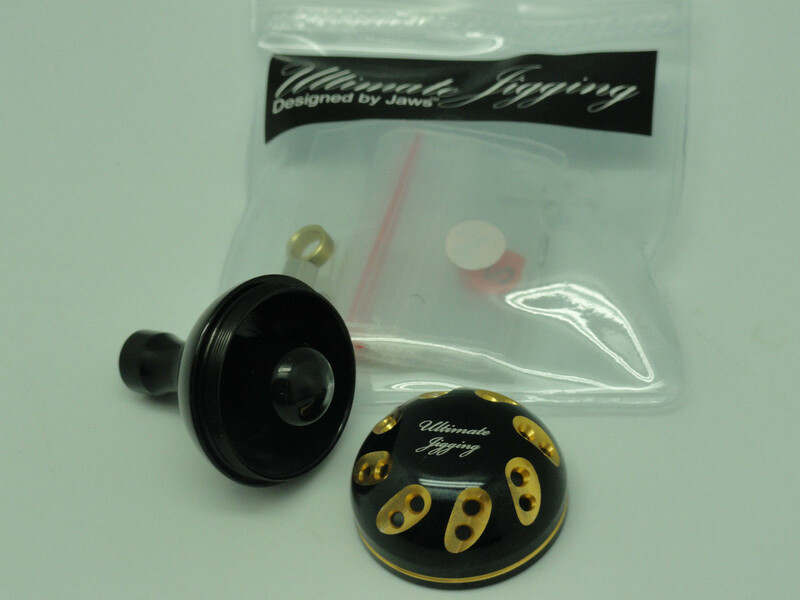 Each 30mm Reel Knob Package includes: one 30mm Reel Knob, an Instruction Paper, Water Resistant Rubber Cover & Kits. 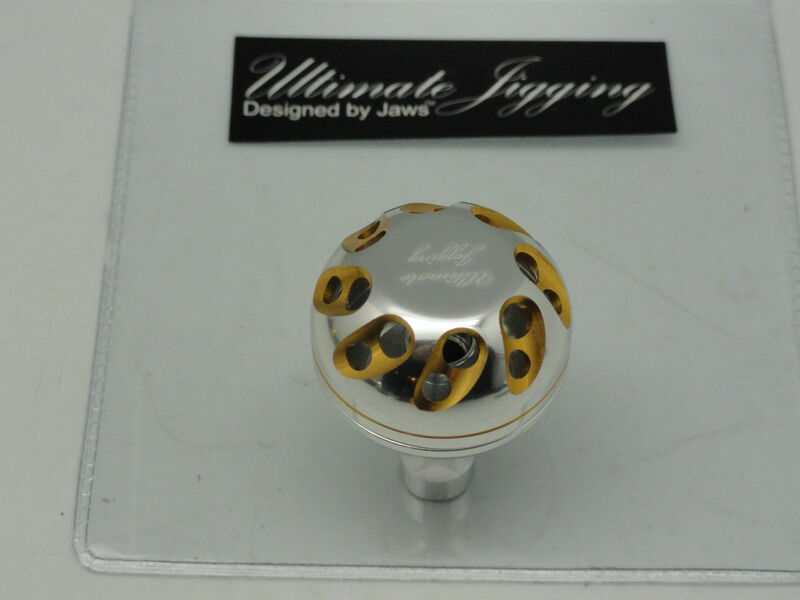 Pale Gold/Silver w/ Pale Gold Bottom. 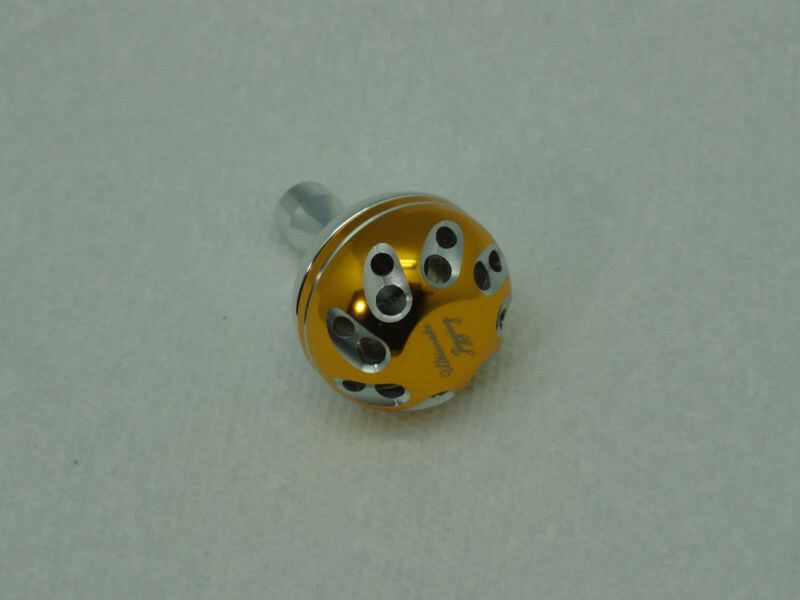 Pale Gold w/ Silver Bottom.